3. 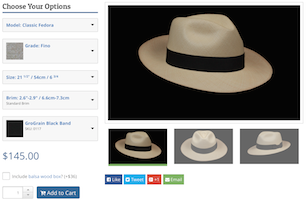 Using your measurements, you can build your Panama hat to your exact size. Send us your question about this custom designed hat, and we will respond to you as soon as possible. You must be logged in to save a design. Don't have an account? Create one now- it's fast and free!